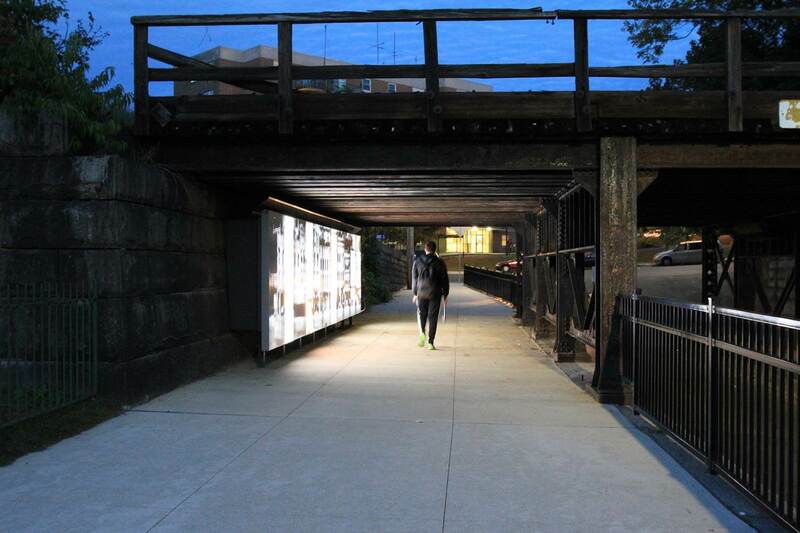 Winner of an open public competition sponsored by the City of Holyoke, “Arrivals” is a public art and infrastructure project which transforms a key gateway between downtown Holyoke and an adjacent residential neighborhood into a safe, inviting, and creative attraction. For over 150 years, people from Ireland, Canada, Italy, Germany, Poland and Puerto Rico have flocked to the “Paper City” to create a better life for themselves and their families; with each successive wave of immigrants, these new inhabitants have redefined Holyoke. The project’s intention is to contrast the singular image of the city with the multiple voices of residents’ arrival stories to capture Holyoke’s rich immigrant experience. 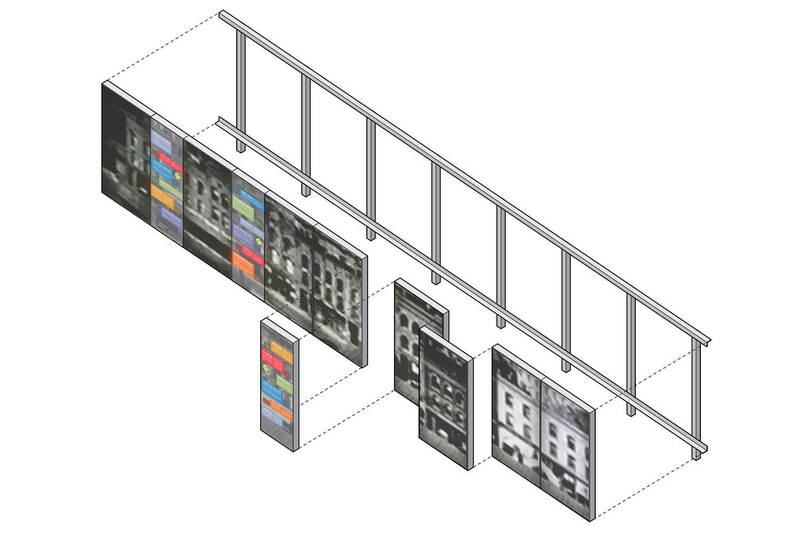 The project consists of a thirty-foot long LED-lit wall of digitally fabricated perforated panels depicting an historic Main Street scene. 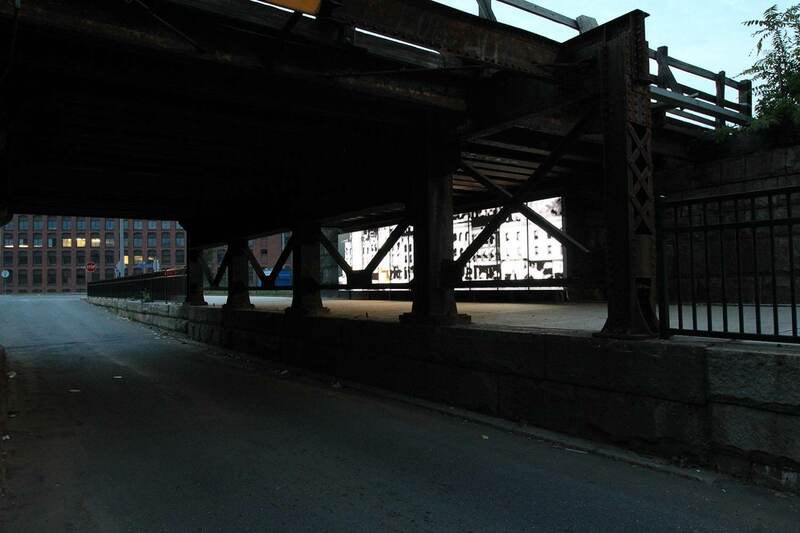 The $35,000, CDBG-funded creative placemaking project is a direct response to its site, the Mosher Street Underpass, which is adjacent to an historic H.H. Richardson train station. Set within the wall are three “story boxes” comprising excerpts of arrival stories presented in English and Spanish—a response to the adjacent neighborhoods’ Latino/a demographics. The work seeks not only to beautify the underpass, but also to use art as a means to connect the aesthetic, historic, social and everyday perceptions of public art and life. Key to the design process was a series of public engagement sessions, conducted over a period of three months prior to fabrication. The intention of the sessions was both to build community receptivity to the project and to generate content in the form of “arrival” stories. By engaging diverse populations in a variety of contexts, the stories represent the experiences of a broad cross section of residents. The project’s website is a critical and ongoing component; it documents all project phases and provides the arrival stories’ full text. “Arrivals” epitomizes how a small project can have a transformative impact. As a piece of infrastructure, “Arrivals” lights a formerly desolate underpass, providing a safe connection between a residential neighborhood and the central business district. As a piece of public art, it reflects the many voices and cultures that shape the city. The accompanying website creates a larger footprint than the physical wall onsite. 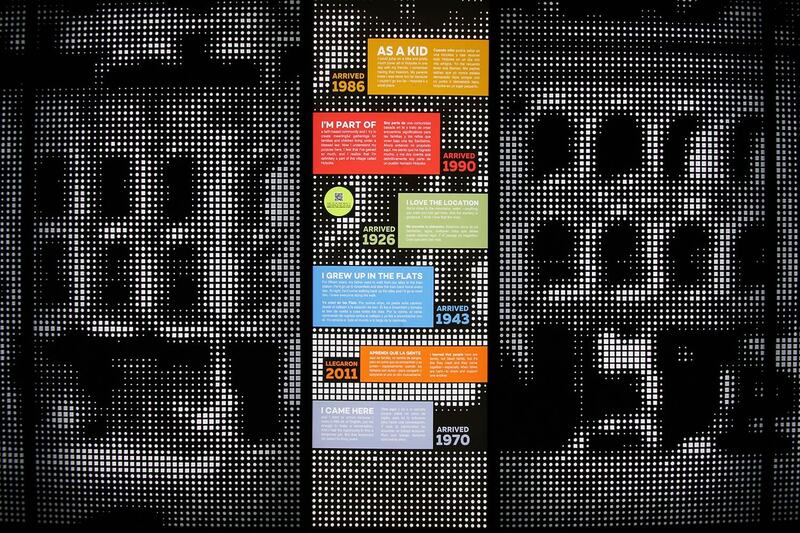 The story panels’ bilingual translation invites diverse participation in the city’s public domain. 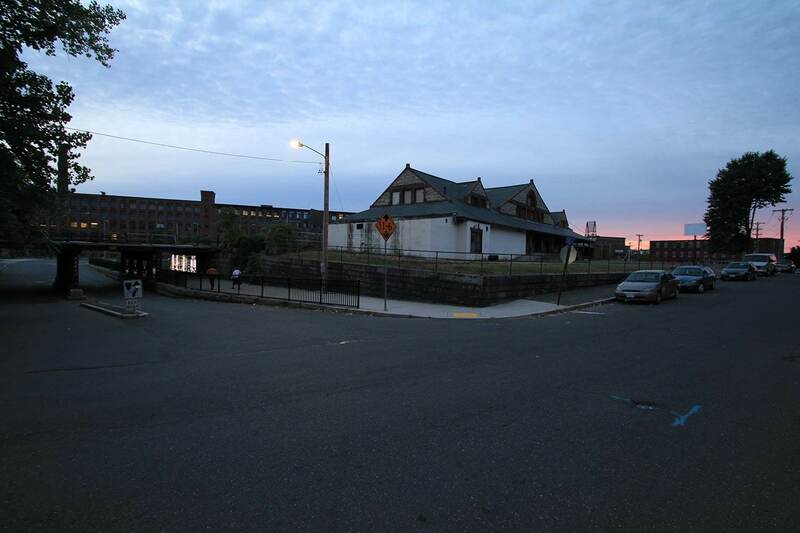 Finally, the project signals municipal commitment to reinvestment in the neighborhood and galvanizes support for development of the adjacent historic train station—currently vacant.